To enter the competition you must email editor@putneysw15.com by noon on June 24th 2013 with your contact telephone number and your answer. Mark your email as “William”. If you are not a member simply register for a newsletter before you submit your answer. Q: Which country does Claire originate from? 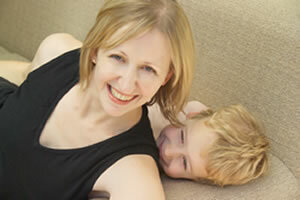 Putney author Claire Harrison has always loved to write – as an Arts student, as a Technical Author and now as an author for children. She lives with her children Joy, Honor, and of course, William and her biggest supporter, husband Carl. "I have lived elsewhere in London and elsewhere in the World, I have travelled far and wide but I have settled on Putney as my ‘happy place’. Crossing Putney Bridge I always feel as if I have arrived home already. The river runs through it all - the shops, the vibe, the glorious Wandsworth Park, the transport options, the variety of pubs, cafes and places to eat and meet friends, the memories. Claire continued: "There is one little gem that offers something extra special to me – GRIND on thJune 21, 2013every sip of their characteristic lattes, every bite of their French toast, Anzac biscuits and Pineapple Lumps! It is an international transportation, right in the middle of Putney, and it’s not the only one!" "It is true, especially when you have moved around the world like our family, that there is no Utopia. Yes, I do agree. But for me, I have to admit, SW15 pretty much has it all. We are Putney ‘lifers’ now for sure." 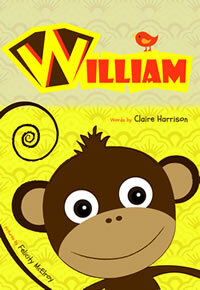 William is a quirky, vibrant and charming illustrated children’s book that celebrates the universal truth of boys being boys. This book promotes the unique qualities that boys share, but are so often underrated. William is the perfect way to inspire reading in boys from a young age, to capture their imagination and to boost their sense of self-esteem and belonging.